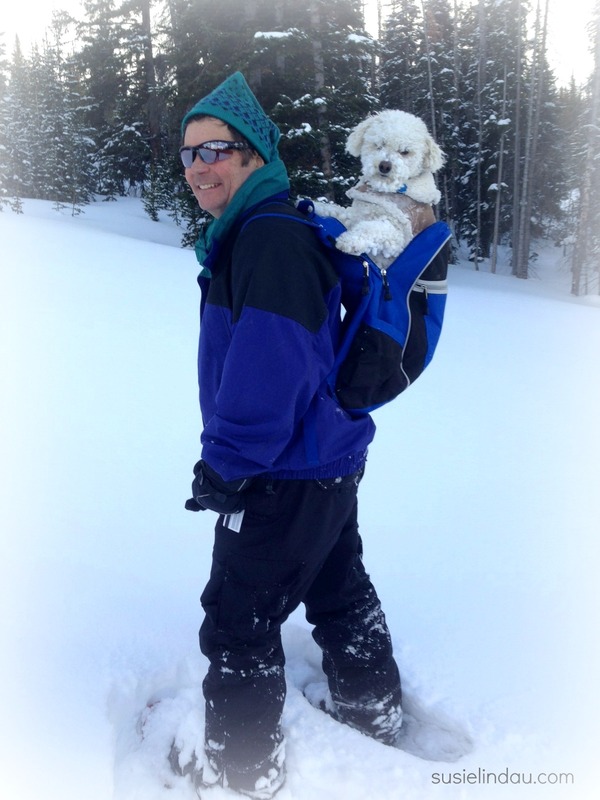 After my big adventure, I had to take Danny snowshoeing. Roxy raced ahead. Danny followed my lead down to the Sally Barber Road. 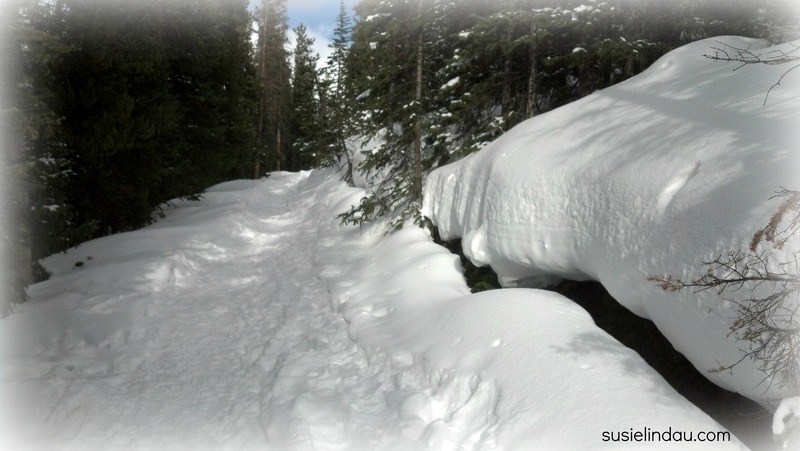 Once we hit the mining trail, we cruised on the hard-packed snow. We ran into a runner who suggested trekking to the mine or looping around by taking Nightmare on Bald Mountain Trail. We couldn’t find the trail, so we made our own tracks up old Baldy. 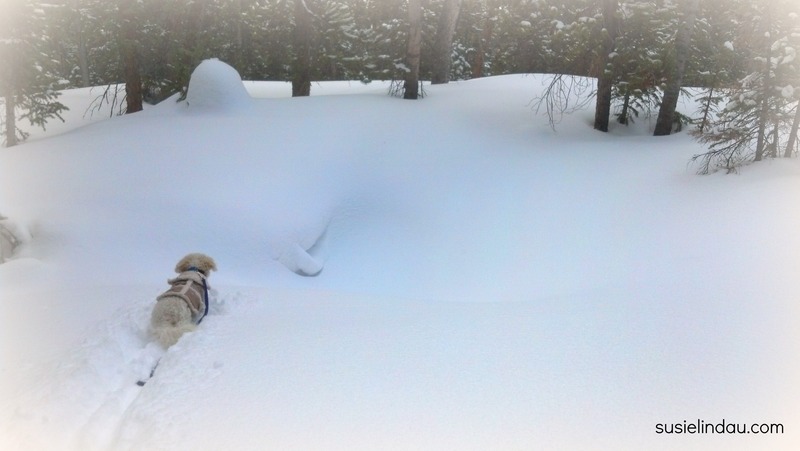 The slow and steady climb through heavy snow proved to be too much for Roxy. We found the trail back home and Roxy sprinted ahead. 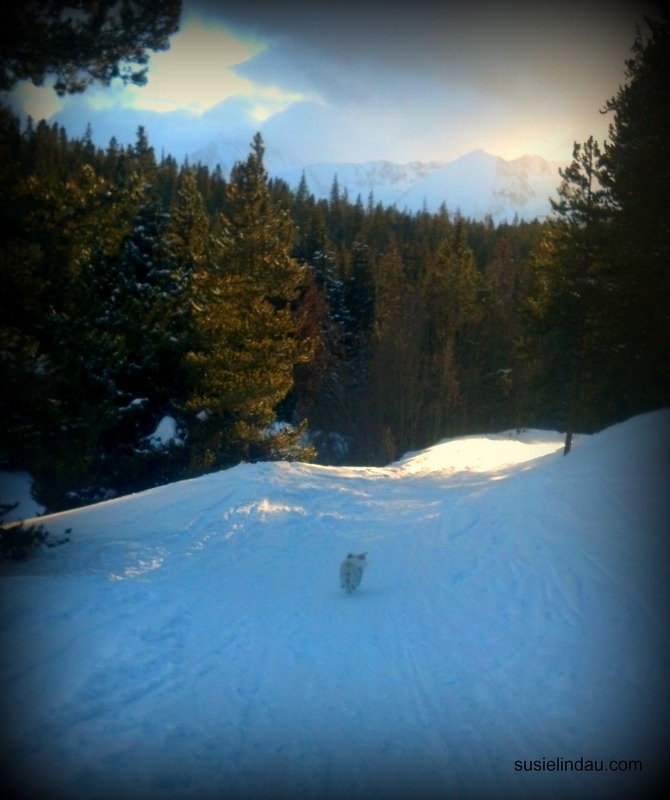 Our little outing took more than two hours, but the exercise while taking in Colorado’s beauty was worth every minute. Come up with a caption for “backpacking Roxy” and get featured on the Wild Ride! Leave your caption in the comment section below. The winner will be featured on my sidebar until next month’s contest! My kids, Kelly and Courtney, will choose the finalists. Good luck! Wonderful photos, Susie. Hope the temperatures are getting spring-like there. Wow… that looks like a lot of work. 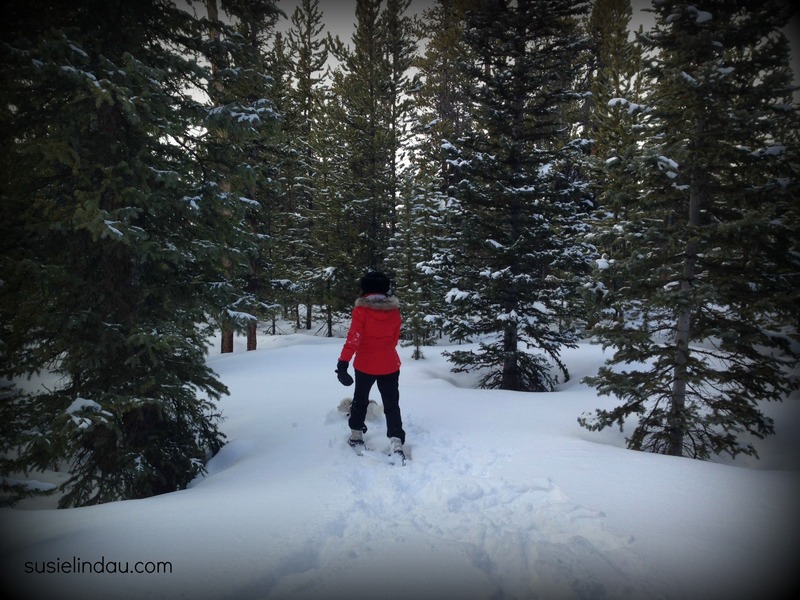 I’ve never tried snowshoes, but looks like you had a great outing. I like Catherine’s caption best. It’s great exercise while walking like a duck in deep snow. I love it. There are some really good ones. The kids will have fun reading through them! “My human snowshoe’s pretty good, but he keeps turning left when I steer him to the right”.